Kommentare deaktiviert für RS Should Not Have Been Deported by the Swedish Government (ENG) | ر.س. نمیبایست دیپورت میشد. .س. نمیبایست دیپورت میشد. | RS Should Not Have Been Deported by the Swedish Government. Kommentare deaktiviert für .س. نمیبایست دیپورت میشد. | RS Should Not Have Been Deported by the Swedish Government. 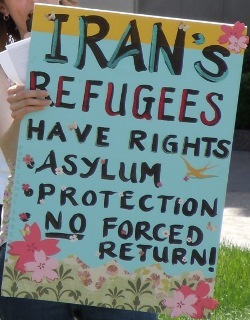 On Thursday, 6 October 2011, Fouad Velzi received notice of his impending release from Märsta detention center, where he was being held pending deportation to Iran. He was released later the same day. 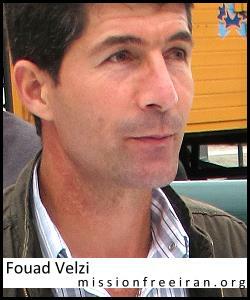 Fouad is a Kurdish Iranian political asylum-seeker and anti-regime activist. As a member of both the Kurdish Democratic Party of Iran and Mission Free Iran, organizations that actively oppose the Islamic Republic of Iran, if he had been returned to Iran, he would have certainly faced severe persecution. On October 5, 2011, a group of peaceful protesters who had gathered outside of the embassy of the Islamic Republic of Iran in Copenhagen, Denmark, were illegally arrested by the Danish police. The demonstrators were peacefully and lawfully displaying placards objecting to the recent arrests and long prison sentences of worker activists in Iran when the police began to restrain the demonstrators and take them into custody, in clear violation of their civil and human rights. The below is an interview conducted by HRANA with the former lawyer of Javid Houtan Kian, who courageously defended Sakineh Mohammadi Ashtiani against a stoning execution in Iran. For the past year, Houtan Kian has been held under severe torture as a political prisoner – because he defended his client. organizational and propagandistic activities by Kurdish opposition groups in Iran and Iraq, which were again on the rise after the defeat of the Barazanis. Fouad’s father, like many others, was in contact with the Democratic Party of Iranian Kurdistan, which was asking for some national rights, including autonomy from the central government. Fouad’s father’s activities against the Islamic Republic continued for 14 years, and his profile became known in the region. Fouad also joined the Democratic Party of Iranian Kurdistan in his early years, and as a member of its underground organization supported the logistics and supplies division for the Democratic Party until the date of his arrest. Time to Phone and Fax to Demand a Halt to Mitra Kahrom’s Deportation to Iran. We have very little time before the Swedish government goes forward with its illegal decision to deport Mitra Kahrom to the bloody hands of the Islamic Republic, on Friday 2 September. It is up to us to make sure that doesn’t happen by phoning and faxing the Swedish authorities and putting pressure on them. Keep in mind that the decision in Mitra’s case has implications for at least 2 other women who have fled shari’a persecution; if Mitra is deported, those other two are at higher risk of deportation as well. Article 1. The Islamic Republic Should Know that Until the Fall of This Regime, Mitra Kahrom Will Fight. Article 2. Mitra Kahrom: Because She Is A Woman. Kommentare deaktiviert für Time to Phone and Fax to Demand a Halt to Mitra Kahrom’s Deportation to Iran. Please send an email based on this letter to the European Union to help stop the attacks on the people in Iraqi Kurdistan. 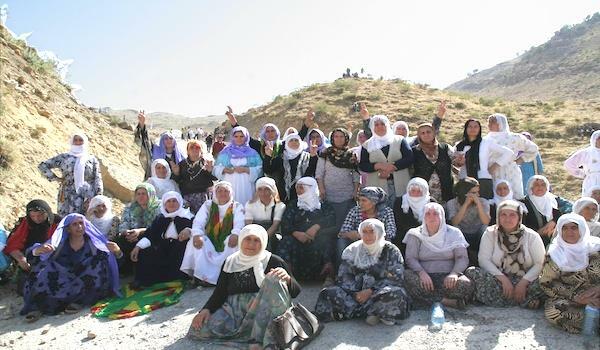 I am writing to express my deep concern about the attacks by the Turkish government and the Islamic Republic of Iran against people in Iraqi Kurdistan, against their villages, homes, and livelihoods. I want the European Union to pressure the government of Turkey and the Islamic Republic of Iran to stop their attacks immediately, and to compensate the people in Iraqi Kurdistan for the losses of lives, homes, livelihoods, and infrastructure, all of which have been destroyed in these illegal attacks. I also want the European Union to condemn the media blackout on Iraqi Kurdistan that has been imposed by the Iraqi government. The EU should demand that the Iraqi government immediately lift all restrictions on the access of international media to the area. September 3, 2011: Global Demonstrations in Defense of People in Iraqi Kurdistan and against the Atrocities of the Islamic Republic of Iran & the Turkish Government! 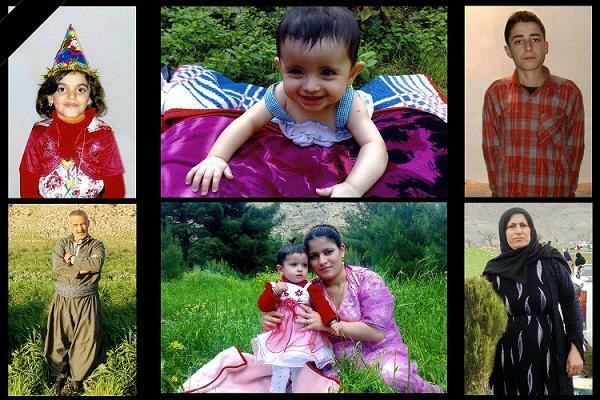 An entire family of seven was killed in attacks by the Turkish and Islamic Republic regimes on civilians in Iraqi Kurdistan. Kommentare deaktiviert für September 3, 2011: Global Demonstrations in Defense of People in Iraqi Kurdistan and against the Atrocities of the Islamic Republic of Iran & the Turkish Government!